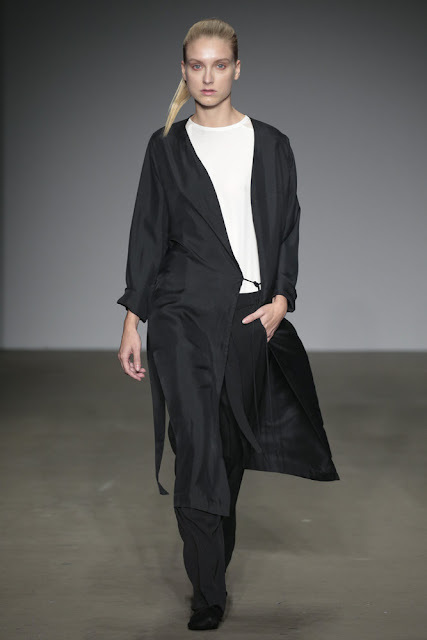 Day 10 of Mercedes-Benz FashionWeek Amsterdam consisted of a vivid mix of politics, femininity and theatre. Politics and fashion merged for the night during the Political Calwalk show. Young designers presented their collections inspired by politics and democracy. Women's wear doesn't necessarily have to be either powerful or feminine, both styles can be combined as AM\WESTEN proved with the presentation of her collection hosted by Vodafone Fashion LAB PRO. AM\WESTEN successfully combined two seemingly opposites by using plenty of folded details and movement. Tailor & Elbaz oozed edginess, sexiness and femininity, by adding a touch of silver and gold. This was exactly the message the designer duo conveyed through their S / S 2016 collection. See my review on this show here. Susana Bettencourt started her career as a designer with a focus on knitwear and dreamy lace dresses. 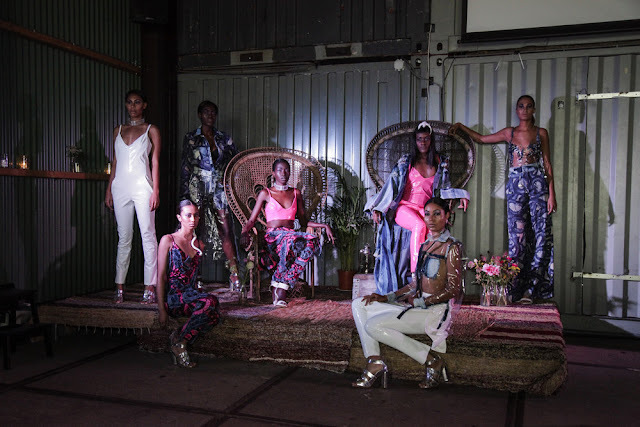 Nowadays, she effortlessly uses digital techniques resulting in a new collection filled with modern jackets and prints as was shown during her show hosted Vodafone Fashion LAB PRO. Monique Collignon Light Couture met everyone's expectations: Elegant and striking pieces dominated the catwalk. 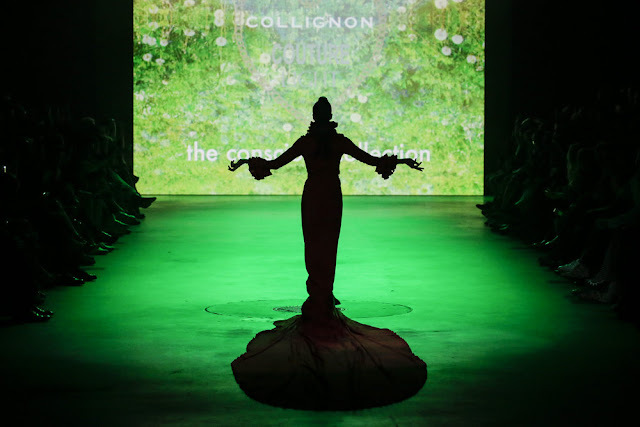 The last show of the 10th day of the Mercedes-Benz FashionWeek Amsterdam turned out to be truly breathtaking. See my review here. Zalando presents 10 Days Downtown closed with 'Fashion meets Theatre' at one of the trendiest hotspots of Amsterdam: Pllek. The live fashion performance by FERNANDA FERNANDES and video artist LIAO FAN made for a truly spectacular ending. During the 23rd edition of the Mercedes-Benz FashionWeek, Zalando organised inspiring and accessible events throughout the city of Amsterdam as you can read in my previous posts.